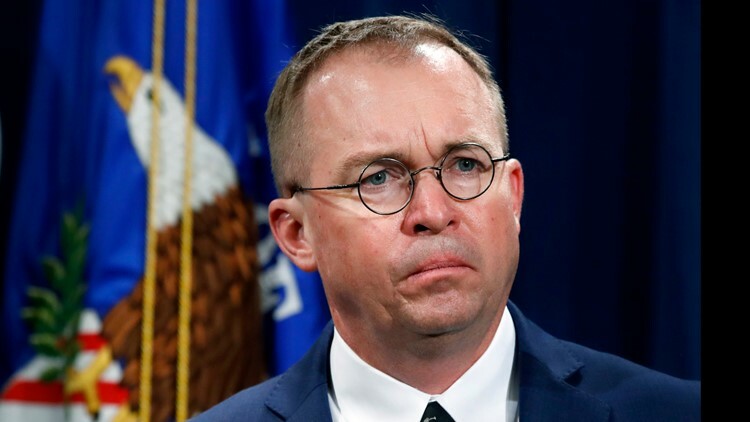 Mick Mulvaney, acting director of the Consumer Financial Protection Bureau (CFPB), and Director of the Office of Management. A congressional deal has seemed to stall. "You cannot take a shutdown off the table, and you cannot take $5.7 off the table," Mulvaney told Fox News, "but if you end up someplace in the middle, yeah, then what you probably see is the president say, 'Yeah, OK, and I'll go find the money someplace else.'"